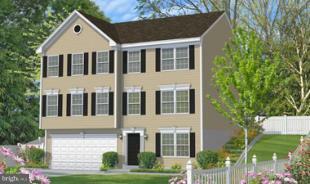 The Bristol 3 stands proud with its Colonial architecture and modernized floor plan. This 4 bedroom, 2.5 bath home has many standard features including: a two-car integral garage, a large rear family room, combination breakfast room/kitchen, separate formal living and dining rooms, and a spacious master bedroom with a walk-in closet. Sales office open Wed-Sun 11am to 6pm.